White-tailed Sea Eagle chicks take to the wing! The first White-tailed Sea Eagle nests in Co. Kerry in over 100 years have successfully fledged chicks in 2015! Two pairs, one in Killarney National Park and the other on the Beara peninsula near Kenmare, fledged single chicks at each nest. This was the third attempt to successfully raise a chick by the Killarney pair while the Beara pair succeeded on their first attempt. Since fledging, the Killarney chick has been closely followed and fed by its parents around the Lower Lake where the trio have been seen by local boatmen and some excited tourists! It’s likely that the young eagle will spend the next few months around the Lakes of Killarney before wandering more widely across Ireland. Over the last month four young White-tailed Sea Eagle chicks fledged successfully from nests in counties Kerry, Clare and Galway bringing to seven the number of Sea Eagle chicks to have flown from nests in the wild in Ireland since 2013. Four of the seven chicks have come from one nest at Mountshannon, Co. Clare, on Lough Derg, by far our most successful pair to date. Happily a second pair took up residence on Lough Derg in 2013 and also nested successfully in 2015, raising their first chick. A fifth nest, at Glengarriff, Co. Cork, raised a single chick but sadly this chick died close to fledging. Although its early days, each successful nesting and chick fledged brings the reintroduction project a little closer to its goal: a self-sustaining viable breeding population of White-tailed Sea eagles in Ireland. The expansion of the breeding population across four counties stretching from Glengarriff in West Cork to Connemara in West Galway (c200km north-south) is a positive sign. Over time the population is likely to expand further and/or increase in density in some of the best habitat as new pairs settle close to other pairs. This seems to be happening on Lough Derg and hopefully elsewhere on the Shannon and western lakes. Areas such as Lough Derg may become doubly important as source areas for Sea Eagles because they produce chicks most years and the pairs remain stable over time (few if any losses of breeding adults except to natural causes). Importantly Lough Derg is hugely productive and most farming along the Clare shore is cattle, either dairy or dry stock, with none of the dangers associated with nesting in upland sheep country (ie. the continued use of illegal poisons by some landowners). However it is critical we address the continuing losses of birds (3 adults lost in 2015 to date) to human related mortality. Otherwise young Sea Eagles dispersing away from safe breeding areas will continue to be vulnerable while pairs settling on new sites may be lost before they have a chance to nest successfully (as happened this year in Connemara). 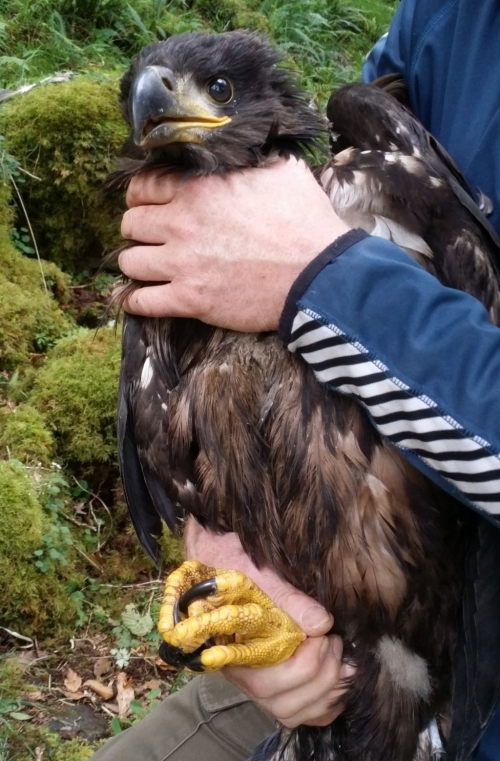 Over the next few months look out for updates on our young eagles, especially Cealtra, the young satellite tagged female Sea Eagle who left her nest near Mountshannon in July!